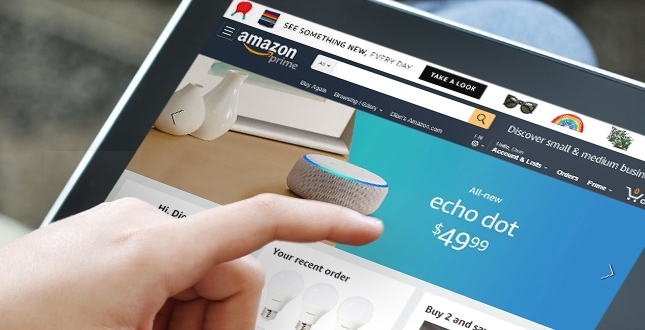 According to a study by global consulting firm McKinsey, 35% of purchases on Amazon are driven by its product recommendations. Think about this: over one-third of the time, Amazon essentially controls the sales process and directs people to their purchase. That’s an incredible amount of power. Amazon achieves this by promoting an array of “featured” and “recommended” products throughout its pages. This technique, commonly known as “content teasing,” seeks to make the website sticky by enticing visitors to click the next thing. The goal is to keep visitors engaged and dissuade them from hastily exiting your site. If your site can do this, you’re much more likely to make the sale (or achieve your goal, whatever it may be). Teasers are clearly a powerful way to influence website-visitor behavior. So, it only makes sense that content-heavy sites ranging from NYTimes.com to Deloitte.com are now chock-full of “Suggested Content” teasers and “Most Viewed” lists. Law firms, on the other hand, have been slow to embrace content teasing (more about this later). Perhaps they could draw inspiration from what’s being done in other industries. As the discussion below will show, teasers are being used effectively by NYTimes.com, McKinsey.com, and EY.com. This will be followed by a discussion of why law firms have been slow to adopt content teasing and how this could change. Large news websites are on the cutting edge of content teasing. Sites like these make money selling advertising impressions. Therefore, the more pages they get users to view, the more money they make. As a result, news sites work hard to make their sites sticky. So, from header to footer, their pages are peppered with teasers and calls-to-action that are designed to keep you clicking. Large media websites aren’t the only ones working hard to engage users. B2B professional service sites, like McKinsey.com and EY.com, also employ a variety of content-teasing techniques. Unlike NYTimes.com, these firms aren’t in the business of selling advertisements on their websites. Rather, they seek to have prospective clients read more of their thought-leadership content. Firms like McKinsey and EY dedicate substantial resources to creating reputation-enhancing content like articles, blog posts, and whitepapers. Like law firms, they create this content to reinforce their reputation for having expertise in their particular areas of service. And having gotten a visitor to their website to read an article, it’s in their interest to have that visitor stick around to read more and learn how these firms are different from and better than their competition. They do this by teasing related content and highlighting key facts that demonstrate their knowledge and expertise. What about Law Firm Websites? 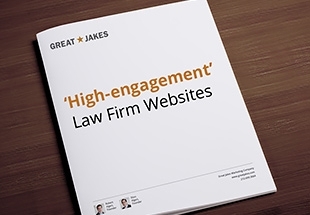 Law firm websites have not typically been built with robust content-teasing tools. Why? Because, historically, the dissemination of thought-leadership content has not been the focus of law firm websites. Until recently, law firms viewed their websites as an electronic version of the firm’s old printed brochure. In this “brochure” model, bios and practice area descriptions were considered the primary content—and thought-leadership content like articles, blog posts, and whitepapers was ancillary. Even today, many law firms don’t publish their best thought-leadership content on their websites. Rather, their best content appears on blogs, which are often located on different servers and have domain names distinct from those of the websites. However, this is changing. As the market for legal services has become more competitive, law firms have begun creating more content as a means of distinguishing themselves from their competitors. As a result, they are now perceiving their websites as “publishing platforms” that are meant to (a) be a repository for all of their reputation-enhancing content, including their blog posts (to read more about the trend toward integrated blogs, click here), and (b) maximize the exposure and impact of that content. In short, as firms invest in developing more content, they are looking to maximize the return on that investment. So, it only makes sense that there is increased interest in content-teasing tools that help to maximize the chance that visitors will read the firm’s best reputation-enhancing content. We’ve created a 15-page whitepaper that summarizes our research and describes the “User-engagement Toolbox” in detail. To get it, click here. Glad to see our firm (Finnegan) is ahead of the curve!